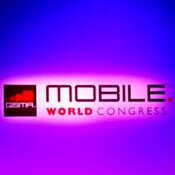 The Mobile World Congress is the biggest show dedicated to mobile and in 2012 it was intense. We witnessed some historic advances in technology - the first commercial devices with chips made using 28nm architecture were announced, quad-core handsets flooded the showroom floor and new ideas materialized in gadgets like the Asus PadFone. We’ve spent the last couple of days busy going through all of the announcements in our minds, picking the very best devices (and there were quite a few to pick from), but as the hardware race is as close as it gets, we leave the choice up to you to decide which phone and tablet topped the rest in both their appearance and pure specs. Before you get to vote, though, we wanted to jot down a couple of trends that became more evident during MWC 2012. First of all, Chinese phone makers Huawei and ZTE really pushed the envelope and delivered some impressive devices. Hardware-wise, they’re on par with the rest, and if they can beat them in price, we could have the new success story a la HTC in China. MWC also cemented devices with bigger screens as the Android mainstream. Almost all Android flagships moved up from 4.3-inch displays, often to as much as 4.7 inches on phones like the HTC One X and LG Optimus 4X HD. Next, Intel’s Atom processors finally arrived on phones. And finally, Android dominated MWC. As Microsoft is retracting from big shows like CES, following Apple’s example to host its own events, devices on Google’s platform were everywhere. So with all this in mind which one is your favorite device and why? Vote for the phone and tablet that grabbed your heart at MWC 2012. We've arranged the noteworthy devices in alphabetical order, by name of company. The voting ends on Wednesday, March 7th, and that's when we'll release the results, so make sure to hurry up and make up your mind by then. Nokia pureview. Galaxy Note 10.1.
are you crazy?it is a good phone!you are too much into andriod and apple. well we don't get Nokia Symbian phones in the US, unless you get one unlocked. I lol'd so hard on your comment. Despite the fact that everything you said is true, you're still just a typical Nokia hater. Decent phone - Seriously, Symbian Belle isn't horrible and is a big improvement on Anna and Symbian 3 before it. It has plenty of apps too, though I will agree that it isn't the platform of the future by any stretch. But it does have the best camera, Dolby 5.1 HDMI output, expandable memory, USB on the go, secure NFC, amazing sound recording, pentaband 3G and a huge list of supported languages, and good battery lfe too, plus Nokia Maps keeps getting better and still gets better on Symbian before Windows Phone/MeeGo. It is in all seriousness a compelling feature set and although the OS may not be a smooth as WinPhone/MeeGo or have the apps and support of Android, it is certainly usable. Spec sheets dosnt matter most of the times. Have you seen how well does the Xperia arc S perform on its 1.2Ghz snapdragon with outdated Adreno 205? SW optimization matters. Belle is an OS well optimized to run on low end hardware. If you had tested Belle on the first gen symbian devices such as the N8, you wouldnt have said this. And yeah, finally, Well deserved award for the N808, for their cutting-edge innovation. Though Im an andriod and Galaxy fanboy, I have to admit this. Sorry to disappoint you but even Belle lags as hell on the N8. I wouldn't go as far to say that it's sh*t but it's a mediocre smartphone with an awesome camera, that's it. It kind of shows the overall level of "meh" present at MWC when I had to stop and kind of hunt down what I thought should win, rather than having easy winners jump out at me. Then you mustn't have been paying much attention to MWC if you had to hunt down for what you should vote for. Played plenty of attention to MWC, I just wasn't wowed by anything. Pretty much had to pick from the least mediocre in both categories. Why is anyone voting for anything other than the Asus Transformer Pad Infinity?!?!?! Because ASUS is great in build quality and are quite dominant in the android tablet market. for the dual core or the quadcore 1X? sorry, but Huawei come out of nowhere with an A15 quadcore. They win. Htc didn't do anything amazing with the one x. It's a great phone for sure but nothing outstanding. I really like HTC but I feel a little let down by them. Huawei on the other hand hit all the points. They made a great looking phone, created their own processor and managed to fit the whole package in a very sensible form factor. It's not that ginormous of a phone but still has a large screen and a decent battery. If the D quad XL had been an option I would've picked that one. Good stuff ahead. Why the GNote 10.1, it's the same thing as the galaxy tab 2 which is virtually the same as the first galaxy tab 10.1. I know they are not the exact same but still there is nothing major to differentiate the three. HTC One X and Asus Transformer Pad Infinity.